A Wal-mart. A roll of toilet paper. An autograph request. 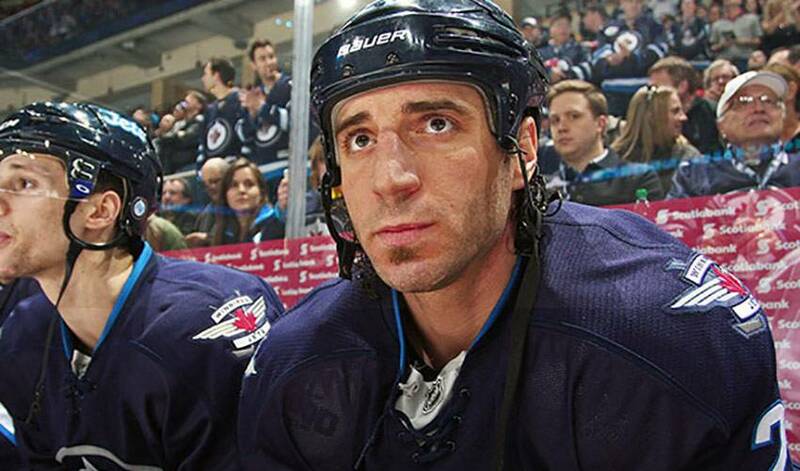 It was the moment Chris Thorburn truly realized just how much of a hockey city Winnipeg is. He had experienced the exuberance of Jets’ supporters on many occasions. There had been requests for his signature at restaurants, coffee shops and gas stations. But this one in particular is something the rugged forward still chuckles over. Always one to oblige, Thorburn took a pen out and signed his name. Something Thorburn was again reminded of during a recent open practice, in front of 3,000 fans. Certainly nowhere close to a sellout at MTS Centre, but impressive considering those in the seats were on a waiting list for season’s tickets. Again, it came as no surprise to Thorburn. Imagine then just how much more the place would be amped up if the Jets made the playoffs. It’s certainly crossed Thorburn’s mind on more than a few occasions. There is, however, the matter of getting to that particular point. That’s also something Thorburn has thought of more than just once. If it sounds like Thorburn feels right at home, he is. Born in Sault Ste. Marie, Ontario, the veteran of nearly 475 NHL games sees plenty of similarities between the two cities. “Both places are very blue-collar and I think there is an appreciation and respect for those who are honest, hard-working people,” he said. Someone just like Thorburn. And though he’s known for his gritty and grinding ways, he’s happy to acknowledge that he’s garnered attention, lately, for something else. That might not sit too well with a fan base that extends all the way to his home. There haven’t been, at least not for now, any strange autograph requests from his son. Not that Chris Thorburn minds that kind of thing.